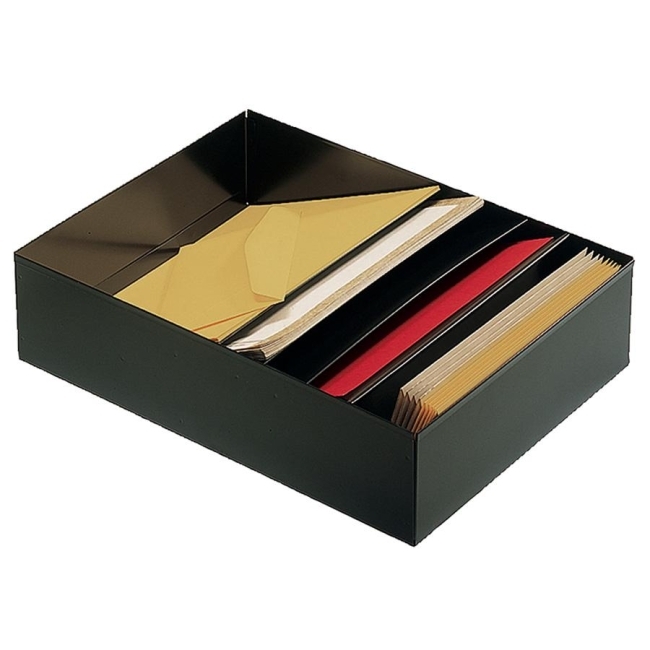 Stationery holder features separate slanted shelves to organize letterhead, forms, and other stationery. Rack design prevents crumpling and fits all standard desk drawers. Special section is designed for No. 10 envelopes and memo pads. Holder is made of heavy-gauge steel with a scratch-resistant, chip-resistant surface. Holder contains 30 percent consumer recycled material.